The IEC and ANSI Standards for Automatic Circuit Reclosers include a clause regarding vibration testing and seismic activity, but in 2016, NOJA Power’s OSM Recloser was subjected to the full force of one of the largest and most complex Earthquakes ever to strike the South Island of New Zealand. The 2016 Kaikoura Earthquake measured 7.8 on the Richter Scale, with over 20,200 aftershocks recorded. 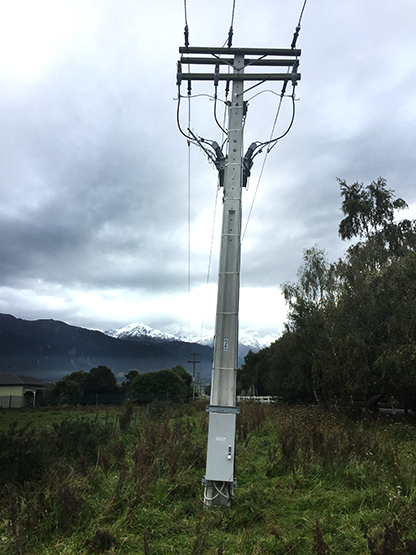 Pictured below is a NOJA Power OSM Recloser installation located just north of the Kaikoura Township, where the sheer magnitude of the earthquake caused the power pole to sink into the earth. 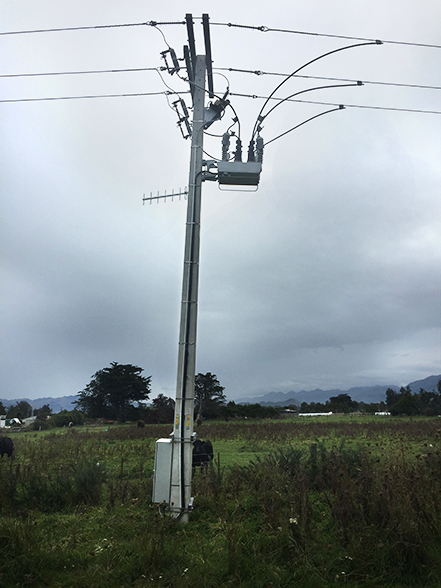 Post-earthquake, the control cubicle was resting neatly on green New Zealand pasture, still affixed to the concrete power pole. Despite the violent repositioning of the OSM Recloser, the device remained operational. The OSM Recloser was inspected after the event, and deemed fit to continue operation and is still in service today.